So you have a smartphone and you want to record voice on Android but your phone doesn’t support it or you do not have a specific built-in app that does it. 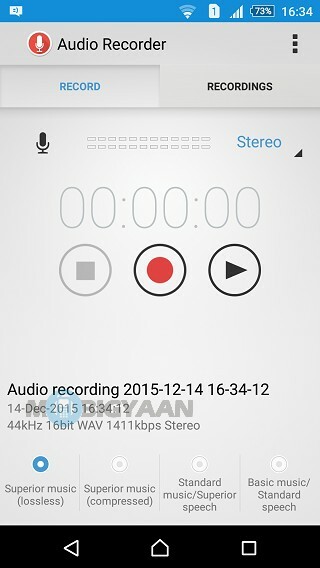 As you simply want to record voice on Android for any reasons such as recording a song you sing, recording a new idea, recording a conversation or just to take voice notes, a good audio recording app is essential. 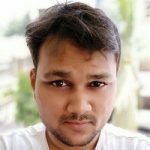 In this guide, I will show you an app that I use it often to record voice on Android and save it for later use. 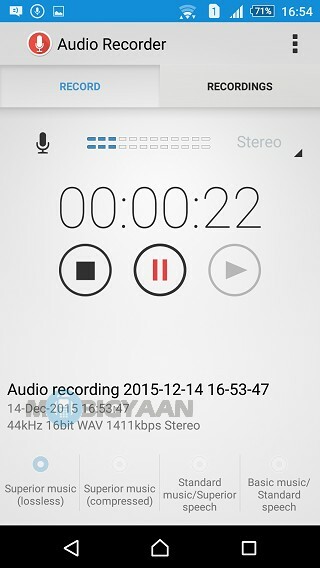 Download the app ‘Audio Recorder’ from Google Play Store. It is developed by Sony Mobile Communications. Note: This guide is only for recording audio using your smartphone’s microphone and it’s not meant for recording phone calls. We’ve already shown a guide on recording phone calls on Android. Simply, hit the big red record button to start recording your voice from the phone’s microphones. It will start recording and show you a timer that can be paused whenever you want and later resume. The mic activity bar shows any incoming noise activity. 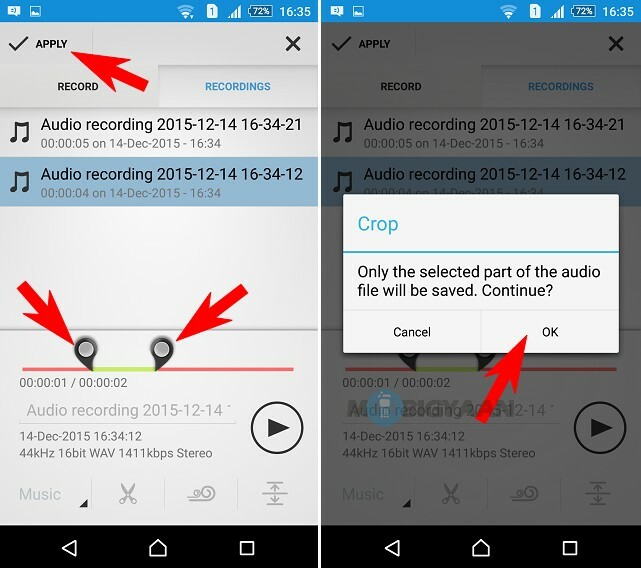 Hit the stop button to stop the recording, the file will be saved automatically. 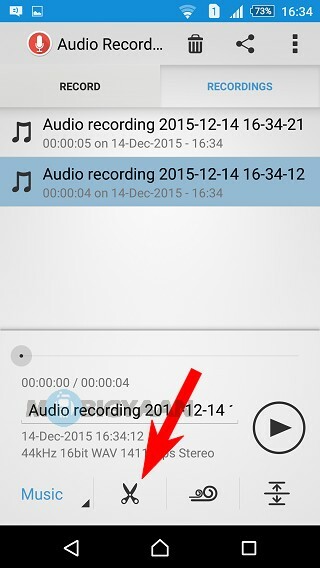 To access all the recordings, just swipe or tap the RECORDINGS tab as shown and get all your recordings you have made. Tap the play button below to play them. 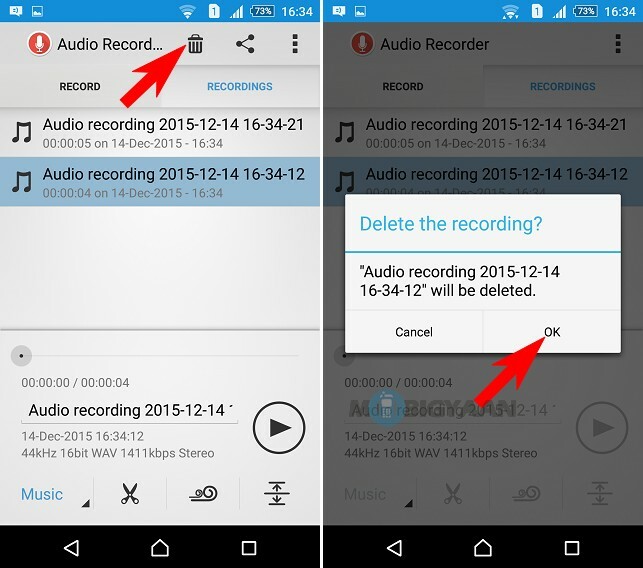 Deleting the recordings are easy, tap the delete icon on the top and remove any unnecessary recordings that will eventually increase your phone’s storage. One of the best features I found on this app is it can trim your voice recordings according to your taste. If you do not want to get all the stuff you have recorded but just a part of it, tap the trim icon as shown and set the sliders the way to want, play the audio recording and check if you have set it correctly. It can be done multiple times. If everything went well, tap the Apply on the top. A popup will ask that only selected part will be saved, just select OK. The original audio will remain untouched and a new file will be created that is your trimmed down audio. As it only trims the audio you have recorded using the app, you would want to trim a song or any other audio file, this how-to guide may come in handy. 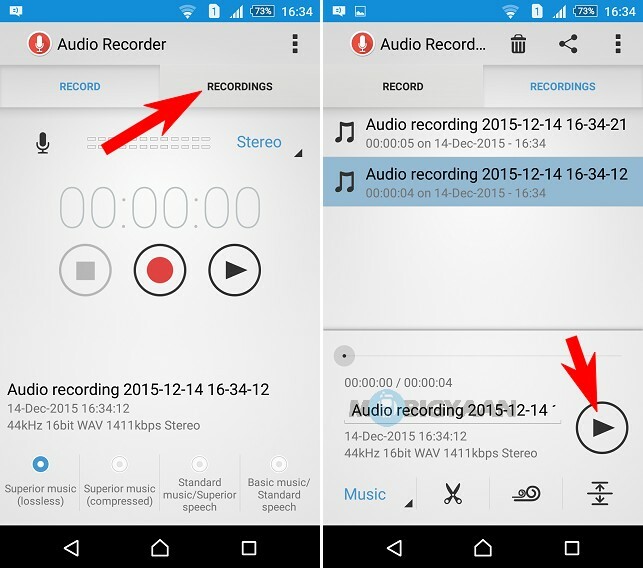 If you are looking for an ideal voice recorder app, then Sony’s ‘Audio Recorder’ app will do that nicely. Just give it a try and let us know your thought in the comments. For more tutorials like this, don’t forget to check out our How-To Guides.